I know that often in this stage of the college search process, your college list can include just about every school that’s sent you a piece of mail. But visiting all of them just isn’t realistic. Take some time to sit down and do some research on each of them. Decide what’s important to you and then choose schools that seem like they’ll have what you’re looking for. If you don’t know what’s important to you yet, pick schools that vary, such as private and public, big and small, or liberal arts and research. That way you can get a feel for what you like. While this may seem like a no-brainer, it is easily the most important—and easiest to mess up—part of the process. You can’t just jump in the car and say, “I want to visit here, here, and here.” Sit down with whomever you’re going with and your list of schools, put their addresses into a mapping program, and design a route that’s efficient. If you have any place you want to stop along the way, add it in too. Don’t wait until the last minute. Make sure you factor in a little extra time as well, just in case a road sign catches your eye and you just have to stop or traffic is rougher than you thought it would be. Another thing that might seem like common sense, but you actually have to take the time to do it. I tried to schedule my visits just days before we left, and that did not work, at all. While some schools may be able to squeeze you in, the likelihood of that happening is very small. This is why planning ahead is so important. Once you know what days you’ll be where, you can go ahead and schedule your tours, information sessions, and interviews. My trip happened in the short span of a week, and even though that seems like a lot of time on the road, it wasn’t enough. My mother, being the organized person she is, had our trip planned down to the T, but between travel time and sleeping, the time left to actually visit the schools was, at the most, three hours a piece, and not always at ideal times. Had I not tried to pack so much in at once, the quality of my visits could have been greatly improved. Now for me, there wasn’t much of a choice, and a stroll around campus was better than nothing at all, but if it can be helped, try not to visit more than one or two schools a day. The best tip I can give for a college road trip is to actually go on one, even if it’s just a few days. Soon enough you’ll be out of the house and on your own, so take this moment to enjoy some quality time with someone who is important to you. It’s a great opportunity to bond or let your parent feel like they’re a part of the process. 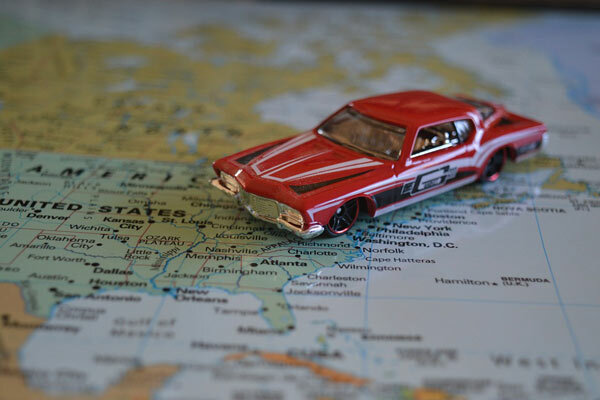 We want to hear about your college visit road trip stories—tell us about your travels in the comments or on Twitter! Dog enthusiast, sushi connoisseur, and newly-made world traveler, Adrianna Young is a rising senior from Alabama. She attends a boarding school where she plays softball and soccer and participates in the fine arts program. With hopes of turning a pastime into a career, she plans to study writing, journalism, or environmental science in college.